This Simpsons shower tray leg and panel riser kit is suitable for use on a Simpsons 45mm square stone resin shower tray. 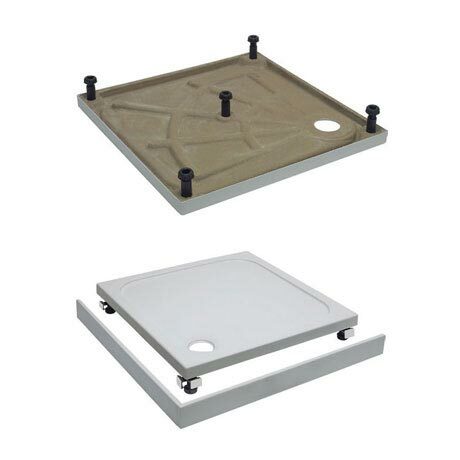 The pack includes a set of adjustable legs to lift your shower tray off the floor - allowing you to fit the waste pipe beneath it, and a set of acrylic panels that will fit around the base of the tray, obscuring the legs and giving the impression that the tray is resting on the floor. Only suitable with Simpsons 45mm square stone resin shower trays. Please note image shown is for illustrative purposes - tray sold separately.